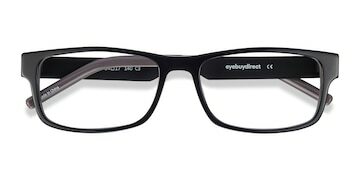 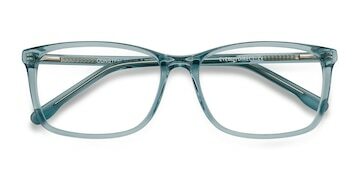 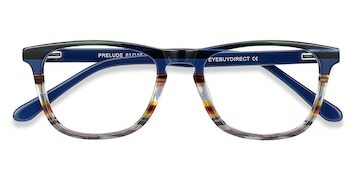 These black eyeglasses are bold and lighthearted. 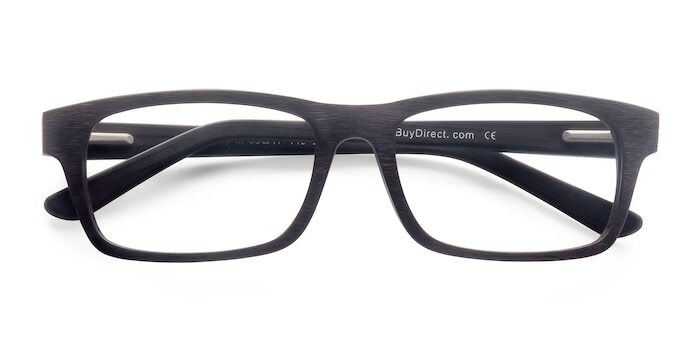 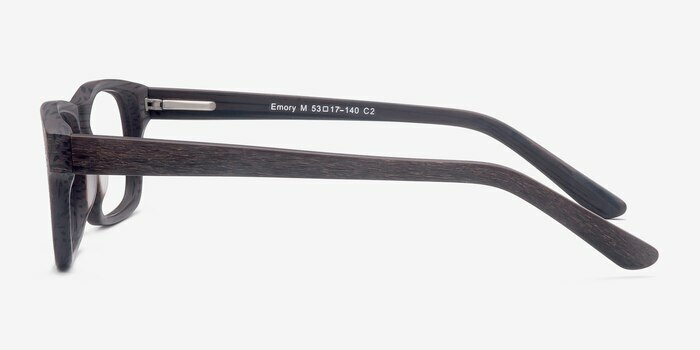 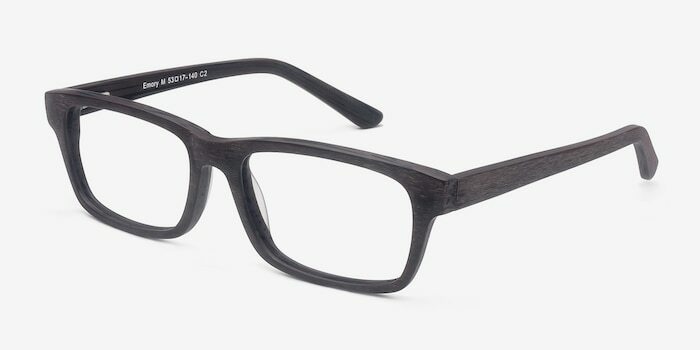 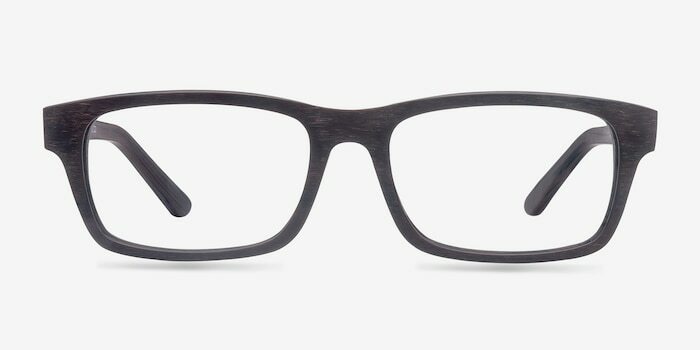 This rectangular shaped frame has a texturized brown wood grain finish throughout. 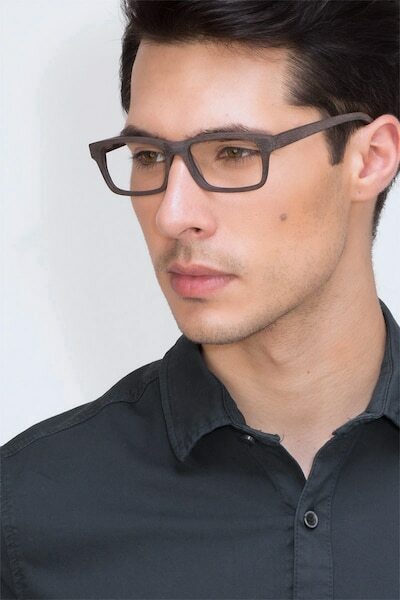 Spring hinges add flexibility to this robust look that is suitable for both men and women.